Eric Hadley Appointed SVP of Marketing for iHeartMedia. Advertising pro Eric Hadley is named senior vice president of marketing for iHeartMedia, serving under EVP and chief marketing officer Gayle Troberman. In this role, Hadley is charged with reimagining “marketing for advertising partners. He will work closely with advertising partners advising them on their audio strategy, to ensure that clients understand how to best plan, buy, measure and optimize the audio experience.” Troberman adds, “As the leader in audio, we understand more than anyone that we’re at a key moment when all things audio are growing. It’s important that we have someone who understands data, content, planning, and creative. Eric’s experience on the client, agency and media sides of the table will help us continue to lead the way with audio.” He most recently served as chief marketing officer for GroundTruth. He’s also served with Microsoft, The Weather Channel, and Outbrain. TALKERS News Notes. The “Armstrong & Getty” show – based at KSTE, Sacramento and hosted by Jack Armstrong and Joe Getty – raised more than $1 million to benefit The Warrior Foundation/Freedom Station from its recent five-day radiothon. The charity purchases plane tickets for injured warriors so that they can spend the holidays at home and with their families. The organization also supports the military by providing transitional housing used during both recovery and transition processes. Joe Getty says, “Many of our brave men and women come back from military service with overwhelming burdens to bear. It’s then that we as Americans have to be there for them. I believe that as their service ends, ours begins.” Jack Armstrong adds, “Supporting Warrior Foundation/Freedom Station is one simple way for our community to acknowledge that our freedoms only exist due to their sacrifice. We’re proud to be a part of this effort to support our troops.”…..Comrex announces a new partnership with Maple Audio Technology, a firm that supplies the latest in technology for digital broadcast for both television and radio in Japan…..Chicago media writer Robert Feder reports that Windy City sports talk personality Terry Boers will do some vacation fill-in work on Entercom’s WSCR “The Score” during the holidays. Boers retired from the station in January of 2017. He plans to sit in with Matt Spiegel on December 24 and 28 and with Steve Rosenbloom on December 27…..CBS Audio Network is offering a three-hour special called the “CBS Audio Holiday Special,” hosted by Gil Gross that covers such stories as ‘How Poinsettias Became the Holiday Flower’, ‘How Dickens’ A Christmas Carol Became Essential to the Holidays,’ ‘The history and fun stories about Menorahs and the origin and traditions of Kwanzaa. 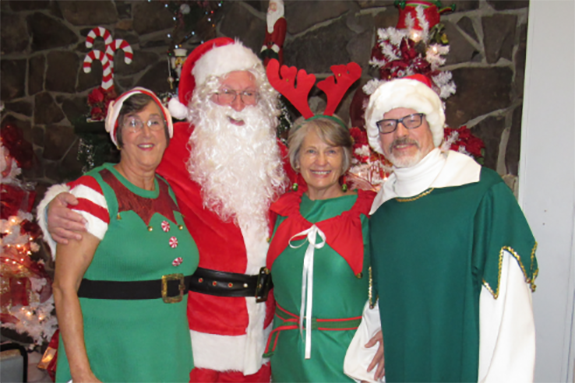 Along with how ‘Auld Lang Syne’ became a New Year’s staple thanks to this radio network, the Columbia Broadcasting System (CBS) and its founder William Paley.”…..And speaking of the holidays, pictured below is Westwood One syndicated personality Jim Bohannon dressed as Santa Claus posing with his elves at the Chickasaw Point Women’s Club benefit for the Collins Children Home of Seneca, South Carolina on December 13.
iHeartMedia Confirmation Hearing Set for January 10. After settling two lawsuits earlier this week, iHeartMedia learns that its Confirmation Hearing for exit from Chapter 11 reorganization will continue on January 10. Judge Marvin Isgur has also set January 17 as a date for concerns regarding the Clear Channel Outdoor Holdings Separation Settlement and January 22 for addition CCOH separation settlement concerns and the GAMCO motion. Finally, January 23 is the date to consider any remaining confirmation issues. An important date is January 9. That’s the deadline for filing objections to the CCOH Separation Settlement agreed to on December 16 that raises the revolving line of credit from iHeartMedia to CCOH to $200 million with iHeart is also indemnifying CCOH for up to 50% of certain tax liabilities. Trump-Russia Investigation/Flynn Sentencing, Trump Foundation Case, Border Wall-Government Shutdown Threat, Xi Jinping Speech, Dow Activity-Recession Fears, Woody Allen Teen Lover Story, Penny Marshall Dies, and NFL Action Among Top News/Talk Stories Yesterday (12/18). The Robert Mueller-led investigation into possible connections between Trump campaign operatives and Russian agents and Tuesday’s related sentencing hearing for former Trump national security adviser Michael Flynn; the Trump Foundation agrees to shut down after allegations of self-dealing; the battle over funding the U.S.-Mexico border wall and the threat of a government shut down; Chinese President Xi Jinping’s speech in which he defends China’s economic policies; the Dow’s December slough and worries about an impending recession; a former teenage lover of Woody Allen reveals her story; actress/director Penny Marshall dies at 75; and the weekend’s NFL action were some of the most-talked-about stories on news/talk radio yesterday, according to ongoing research from TALKERS magazine. Music Radio News and Career Moves. Nationally syndicated adult contemporary evening personality Delilah joins the program schedule at Max Media’s WVBW, Norfolk “92.9 The Wave.” The Premiere Networks host is airing in the 7:00 pm to 12:00 midnight daypart…..Via an affiliation relationship with Envision Networks, Lazer Broadcasting Corporation is offering the “Radio Lazer” Spanish-language music format. Lazer calls the format “a modern regional Mexican” one that plays today’s most popular songs in a top-40 environment…..Entravision Communications Corporation extends its agreements with Al & CM Broadcasting LLC to represent on a network basis and air Alex “El Genio” Lucas through 2020. Alex “El Genio” Lucas’ syndicated morning radio show airs on Entravision’s “La Suavecita” radio network in 13 markets across the country. WXYT-FM, Detroit’s Mike Valenti Doing Three-Day WFAN Tryout. It’s safe to say that anyone filling in for WFAN, New York afternoon host Mike Francesa is doing a tryout for the gig Francesa will give up at the end of his contract in December. Valenti is in for Francesa Wednesday, Thursday and Friday this week and the Detroit News speculates about the possibility of losing New York native Mike Valenti to the Big Apple in a piece by Tony Paul. Valenti and former partner Terry Foster (who retired from the show after health issues brought about by a stroke) have been dominant ratings-getters for the station. Since both stations are owned by CBS RADIO, any transition would be smooth from a contractual standpoint. As regular TALKERS readers know, CBS RADIO (soon to be merged with Entercom) operates a lot of high-performing sports talk stations, so it’s likely there will be more tryouts for the WFAN role by company talent. The 36-year-old Valenti originally came to Michigan to attend Michigan State. Read the Detroit News story here. John Gibson Radio Show Now Distributed by GCN. Former, longtime Fox News personality John Gibson is now a part of the Genesis Communications Network lineup. 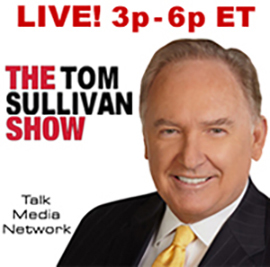 His daily radio program airs live from 12:00 noon to 3:00 pm ET. With the recent changes at Fox News Radio, Gibson moved his program to the GCN platform. Gibson first joined Fox News Channel back in 2000, hosting “The Big Story With John Gibson.” Later, he added hosting a daily radio show to his Fox duties. During his career, Gibson also hosted the “Newschat” and “Internight” programs at MSNBC, and he served for years as a West Coast correspondent for NBC News, supplying NBC affiliates with live reports on various breaking news events. Bob LaGrega Dies at 59. Retired affiliate sales pro Bob LaGrega died recently while on vacation with his family. The details are sketchy but friends say LaGrega had been dealing with health issues over the past year — in fact, he’d retired because of health issues – and the cause of death appears to have been heart failure. During his career, LaGrega served with United Stations Radio Networks as executive director of affiliate relations/sales and spent almost three decades with ABC Radio Networks. Trump Jr.-Russia Meeting, GOP Health Care Bill, President Trump in France, China-North Korea Trade Up, Military Plane Crash, Antarctic Iceberg, Scarborough Leaves GOP, and Mayweather-McGregor Press Conference Among Top News/Talk Stories Yesterday (7/13). The ongoing controversy over Donald Trump Jr.’s meeting with Russian attorney Natalia Veselnitskaya during the 2016 campaign; the GOP health care plan and whether or not congress will put to a vote before the August break; President Trump heads to France to meet with new President Emanuel Macron; the report that China’s trade with North Korea has increased 10% since the beginning of the year and the related North Korean nuclear program and questions about China’s role in it; the military plane crash that took the lives of a number of Special Forces soldiers; a portion of the Antarctic ice shelf the size of Delaware breaks off; MSNBC personality Joe Scarborough leaves the Republican Party; and the over-the-top drama at the Floyd Mayweather–Conor McGregor press conference were some of the most-talked-about stories on news/talk radio yesterday, according to ongoing research from TALKERS magazine. TALKERS 2017 Convention Videos Continue Posting Today (7/13) with Dan Mason, Harry Hurley and Graham Mack. The entire agenda of the recent Talkers 2017: A New Era national talk media convention has been video recorded and its sessions are being posted to Talkers.com – one event per day. Already posted are the “Welcoming Remarks” by WMAL, Washington, DC afternoon drive host Larry O’ Connor (including an introduction by TalkersRadio GM David Bernstein); the special presentation “You HAVE Options” by consultant Holland Cooke (including an introduction by Yappy Days author Bernadette Duncan); the “Fireside Chat” between TALKERS publisher Michael Harrison and Premiere Networks/Fox News Channel host Sean Hannity (with introduction by Westwood One host Jim Bohannon); the “Fireside Chat” between TALKERS managing editor Mike Kinosian and WFAN, New York sports talk show host Mike Francesa (with introduction by Sabo Media CEO Walter Sabo); the special presentation “The Trump Effect: Latest Research of Interest to News/Talk Radio” by Salem Radio Network SVP Phil Boyce (with introduction by Pioneer Valley Radio GM/host Brad Shepard); the special presentation “Podcasting and Local Radio” by PodcastOne excutive chairman Norm Pattiz (with introduction by Hubbard Radio SVP/programming Greg Strassell); and the first, second and third in a series of three consecutive “one-on-one” sessions discussing the topic “Maximizing Talk Radio’s Multi-Platform Potential for Reach and Revenue” featuring conversations between WABC, New York, PD Craig Schwalb and KGO, San Francisco host Ethan Bearman, Bold Gold Media Group president/CEO Vince Benedetto and DGital Media managing partner Ron Hartenbaum, and nationally syndicated host Dr. Asa Andrew and TalkersRadio GM David Bernstein. All three sessions are facilitated by Sirius/XM Satellite Radio host Karen Hunter. Yesterday (7/12) TALKERS posted a “one-on-one” dialogue titled “Radio That Makes a Difference” featuring the SiriusXM Satellite Radio husband/wife team of host Joe Madison and executive producer Sharon Madison (introduced by Sirius/XM Satellite Radio VP/GM talk programming Dave Gorab). 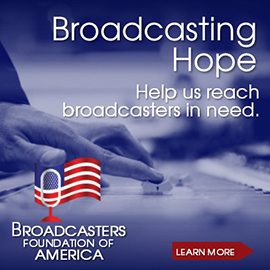 Today (7/13), a “Fireside Chat” is posted featuring former CBS Radio president/CEO and Broadcasters Foundation of America chairman Dan Mason being interviewed by WPGG, Atlantic City morning host Harry Hurley (with introduction by BOB-FM, London morning host Graham Mack). Within the following days and weeks, every session will be posted and will remain on Talkers.com for the rest of the year. The Talkers 2017: A New Era video page is sponsored by Backbone Networks, Broadcasters General Store and Comrex Corp. To view the video page of Talkers 2017: A New Era, please click here. Cool On-Air Opportunity. In the Charlotte market, Entercom is seeking an on-air personality for its three Charlotte stations: news/talk WBT-AM/FM, sports talk WFNC-AM, and hot AC WLNK “The Link.” The company says, “If you live to connect with your audience on air, online and in person – you’ll love it here! We are looking for experienced on-air talent. Are you a passionate storyteller who’s authentic, entertaining and a team player? Do you have a strong hand in social media? The ideal candidate should possess strong work ethic, solid show prep and the ability to deliver creative and compelling content. Experience is preferred.” To be considered for this position, please apply here. No phone calls. Entercom Charlotte is an Equal Opportunity Employer. Round One of June PPM Data Released. The first of four rounds of ratings information from Nielsen Audio‘s June 2017 PPM survey has been released for 12 markets including: New York, Los Angeles, Chicago, San Francisco, Dallas, Houston, Atlanta, Philadelphia, Nassau-Suffolk (Long Island), Riverside, San Jose, and Middlesex-Somerset-Union (New Jersey). Nielsen’s June 2017 PPM survey period covered May 25 – June 21. View all the 6+ numbers from subscribing stations here. Meanwhile, managing editor Mike Kinosian provides his “Takeaways” from these 12 PPM markets. 1) New York – Progressing from tenth to eighth, iHeartMedia urban contemporary WWPR “Power 105.1 New York’s Hip-Hop and R&B” is without a decrease for the fifth successive sweep (3.6 – 3.6 – 3.6 – 3.7 – 3.8 – 4.2, 6+) and is up six-tenths in that stretch. In addition to advancing from #16 to #15, news/talk cluster-mate WOR logs its third straight increase (1.7 – 2.2 – 2.4 – 2.5, 6+) and is up a collective eight-tenths since March. Moreover, June 2017’s 2.5 is the highest 6+-stat for the New York Mets flagship in nearly seven years when it reached 2.6 (#19) in November 2010. By dialing up a gain of nine-tenths to 3.0 (6+), public news/talk WYNC-FM puts an end to four straight downward trends that produced a six-tenths deficit (2.7 – 2.6 – 2.5 – 2.3 – 2.1, 6+) and it rockets from #20 to #12. Trending 5.0 – 5.2 – 4.9 – 5.0 (6+) since February, iHeartMedia-owned WAXQ “Q-104.3 New York’s Classic Rock” busts out a +.5 to 5.5, the most potent 6+-share in its PPM-history, and advances from fifth to third. Last month’s tie at #1 is broken as adult contemporary sibling WLTW “106.7 Lite FM” picks up four-tenths (6.1 – 6.5, 6+) to take sole possession of the top spot, while CBS Radio classic hits-oldies WCBS-FM “101.1 New York’s Greatest Hits” up – albeit by one-tenth – slides to second (6.1 – 6.2, 6+). A one-tenth increase by “Lite” in May halted four straight declines that produced a collective -7.3 since “Holiday” 2016 (13.3 – 7.2 – 7.1 – 6.2 – 6.0, 6+). Prior to April 2017 and May 2017, “New York’s Greatest Hits” last reached #1 in July 2016, when it scored a 6.2 (6+). It had been at 6.1 (6+) in three of the previous four sweeps, while iHeartMedia rhythmic CHR WKTU (-.1, eighth to ninth, 6+) had registered a 4.1 (6+) in four of the previous five survey periods (4.1 – 3.9 – 4.1 – 4.1 – 4.1 – 4.0, 6+). Following three consecutive improvements for a cumulative +.4 (5.3 – 5.4 – 5.6 – 5.7, 6+), Emmis urban AC WBLS “107.5 – Your #1 Source for R&B” is off by three-tenths and slips from third to fourth. Unchanged at #22, Cumulus Media news/talk WABC notches its third straight 1.3 (6+), after three successive 1.4 (6+) showings (1.4 – 1.4 – 1.4 – 1.3 – 1.3 – 1.3, 6+). 2) Los Angeles – Flat at #19, CBS Radio alternative KROQ is up or flat for the sixth consecutive monthly for a +.6 in that period (1.8 – 2.0 – 2.1 – 2.1 – 2.2 – 2.2 – 2.4, 6+). Its format rival, iHeartMedia’s KYSR-FM “ALT 98.7 – LA’s New Alternative,” which had been down by one-tenth in each of the last three ratings periods (3.2 – 3.1 – 3.0 – 2.9, 6+), is flat at 2.9 and remains at #11. Steady at #14, Mount Wilson FM Broadcasters’ KKGO “Go Country 105” has its fifth successive ratings period without erosion for a +.6 (2.2 – 2.5 – 2.5 – 2.7 – 2.8 – 2.8, 6+). Notwithstanding that it is flat at 5.8 (6+), iHeartMedia hot AC “My-FM” is #1 for the fifth consecutive time. When “My-FM” dropped one-tenth in April, it ended three straight uptrends (4.7 – 5.1 – 5.2 – 5.7, 6+), which netted a combined full-share gain. February’s +.1 (5.1 – 5.2, 6+) was enough for it to depart the runner-up slot it held the previous three sweeps and take over at #1. This marks the fourth straight sweep that CBS Radio smooth AC KTWV (+.1, 6+) occupies the runner-up position and “The Wave” steps across the five-share threshold for the fifth time in the last six sweeps (5.0 – 4.8 – 5.5 – 5.5 – 5.3 – 5.4, 6+). Eleven stations in the market are bunched together with 6+-shares between 3.0 and 2.3. After back-to-back survey periods in which no Los Angeles outlet appearing in print gained or lost more than one-half share, Univision Radio Spanish adult hits KRCD “Recuerdo” regresses by -.5 (3.1 – 2.6, 6+) to plummet from #9 to #17. Meanwhile, Spanish contemporary cluster-mate KLVE “107.5 K-Love” is down or flat for the fourth straight time (3.9 – 3.9 – 3.7 – 3.6 – 3.5, 6+), but carries on at #6. 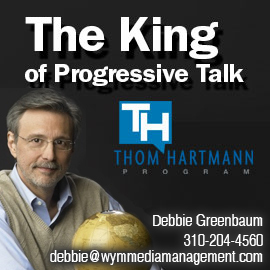 Having picked up a collective full-share in five straight progressive or flat sweeps (1.9 – 2.3 – 2.3 – 2.4 – 2.6 – 2.9, 6+), Entercom classic rock KSWD “The Sound” drops two-tenths to 2.7 (6+), tumbling from a three-way logjam at #11 to #16. The January 2017 through June 2017 6+-trending for iHeartMedia news/talk KFI (seventh to eighth) is 3.5 – 3.5 – 3.4 – 3.5 – 3.5 – 3.3, whereas Cumulus Media’s similarly-formatted KABC (unchanged at #36) registers a .6 after five straight showings of .7 (6+). Similarly, Salem Media Group contemporary Christian KFSH “95.9 The Fish – Safe for the Whole Family,” is .5 (#37 to #38), following a .6 performance five times in a row and in nine of the previous ten sweeps. Owing to five straight decreases (2.3 – 2.1 – 1.8 – 1.7 – 1.6 – 1.5, 6+), Taxi Productions urban AC KJLH (#25) is a collective -.8. 3) Chicago – Locked on 2.6 (6+) in March and April before advancing to 2.9 (6+) in May, CBS Radio-owned WUSN logs a +.5 to 3.4 (6+). Not only does “US-99 Chicago’s Hottest Country” escape a massive six-way logjam at #12 to enter the top ten (#9), this is its best 6+-showing since the 3.5 it recorded in December 2014. Meanwhile, dating back to the first of the year, its format rival – HeartMedia’s WEBG “Big 95.5 Chicago’s New Country” (#22) – is trending 2.2 – 2.2 – 2.2 – 2.3 – 2.1 – 2.1 (6+). Improving by three-tenths (5.8 – 6.1, 6+), urban AC sibling WVAZ “V-103 Today’s R&B and Throwbacks” is #1 for the fifth successive month. At the same time, while this represents the fifth straight sweep without an increase for WBBM-AM for a collective -1.6 (6.3 – 5.4 – 5.4 – 4.9 – 4.8 – 4.7, 6+), the CBS Radio all-news operation remains in the runner-up slot. Although steady at #3, Hubbard hot AC WTMX “Mix” hasn’t had an increase in the last five sweeps (5.3 – 4.9 – 4.8 – 4.8 – 4.6 – 4.6, 6+) and is down seven-tenths in that stretch. Ironically, similarly-formatted WLIT “93.9 My-FM The Best Variety” has lost nine-tenths in three successive declines (3.7 – 3.4 – 3.0 – 2.8, 6+), freefalling from #10 to #15. In the contemporary hit arena, CBS Radio-owned WBBM-FM “B-96” drops one-tenth (4.0 – 3.9, flat at #4), while iHeartMedia’s WKSC “103.5 Kiss FM – Chicago’s #1 Hit Music Station” picks up one-tenth (3.7 – 3.8, 6+), yet actually backslides from fifth to sixth. When “B-96” was off by three-tenths in March, it stopped a streak of four successive up or flat trends that netted one-half share (3.0 – 3.0 – 3.1 – 3.5 – 3.5, 6+). Before it fell by three-tenths in April, “Kiss” was a combined +.7, which it gained in three consecutive increases (3.5 – 3.7 – 3.9 – 4.2, 6+). Down or flat for the fourth straight time for a collective -1.1 (4.2 – 4.2 – 3.9 – 3.3 – 3.1, 6+), following three consecutive ratings periods without a loss for a +.5 (3.7 – 4.0 – 4.2 – 4.2, 6+), Tribune Media Company news/talk WGN drops out of the top ten (#9 to #11). A combined +.8 since last November via seven straight up or flat trends (2.1 – 2.2 – 2.3 – 2.5 – 2.5 – 2.5 – 2.8 – 2.9, 6+), Merlin Media-owned/Cumulus Media-operated alternative WKQX drops two-tenths to 2.7 (6+), spiraling from #12 to #17. Faltering by one-half share (1.1 – .6, 6+), Moody Bible Institute religious teaching WMBI finishes at #29. 4) San Francisco – Pulling the plug on three straight decreases that accounted for a loss of seven-tenths (4.5 – 4.4 – 4.3 – 3.8, 6+), iHeartMedia adult contemporary KISQ recaptures the one-half share it squandered in May (4.3, 6+) as “98.1 The Breeze” jumps from seventh to fourth. Seven-tenths ahead of “The Breeze” is fellow AC, Entercom’s KOIT-FM “Better Music for a Better Workday,” which is trending 5.2 – 5.5 – 5.3 – 5.0 (6+) and carries on in third-place. With a 2.5 (6+) in four of the last five ratings periods, urban AC sibling KBLX adds two-tenths to 2.7 as “102.9 The Bay’s R&B” remains at #12. Climbing from eighth to seventh is Univision Radio Spanish adult hits KBRG “100.3 Mas Variedad,” which has its third increase in a row for a collective +.9 (2.7 – 2.8 – 3.3 – 3.6, 6+). Even though it is without an increase for the fourth successive time for a -1.0 (7.7 – 7.3 – 7.0 – 6.7 – 6.7, 6+), Northern California Public Broadcasting’s news/talk KQED-FM is #1 as it has been every month this calendar year. In the runner-up slot for the sixth successive time is CBS Radio all-news KCBS-AM (6.1 – 6.0, -.1, 6+). Dropping six-tenths (4.1 – 3.5, 6+), the key station of the San Francisco Giants – Cumulus Media’s KNBR “The Sports Leader” – stumbles from fifth to eighth. At the same time, Entercom’s KGMZ “95.7 The Game” – the flagship of the Oakland A’s – adds one-tenth (2.0 – 2.1, 6+), as it inches up from #19 – #18. May’s +.3 by “The Game” put an end to its 1.7 – 1.8 – 1.7 – 1.8 – 1.7 (6+) trending. 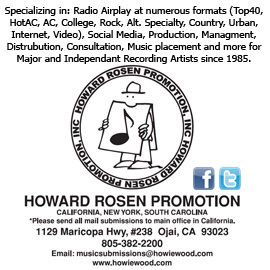 Stymied at 3.8 (6+) in February and March and then on 3.2 (6+) in April and May, CBS Radio CHR KMVQ “99.7 – New Hit Music Now” slips to 3.0 (ninth to tenth, 6+). The October 2016 through June 2017 6+-line for iHeartMedia urban contemporary KMEL “#1 for Hip-Hop and R&B in the Bay Area” (#10 to #11) is a remarkably consistent 3.3 – 3.0 – 2.9 – 3.3 – 3.1 – 3.0 – 3.0 – 3.1 – 3.0 – 2.9. By adding two-tenths to 3.2 (6+), co-owned KYLD “Wild 94.9 – The Bay’s #1 Hit Music Station” (tenth to ninth) ends three straight negative trends that accounted for the loss of one-half share (3.5 – 3.4 – 3.1 – 3.0, 6+). Ending its mini-repetitive 2.4 – 2.5 – 2.4 – 2.5 (6+) sequence, Cumulus Media news/talk KGO drops two-tenths to 2.3 (#12 to #15, 6+), while co-owned/similarly-formatted KSFO is without an increase for the fifth time in a row for a full-share loss (2.8 – 2.8 – 2.6 – 2.3 – 2.1 – 1.8, 6+) and exits the top twenty (#17 to #21). This is the third straight month that Entercom-owned KUFX is unlisted; “98.5 K-Fox – The South Bay’s Classic Rock” had a 1.5 (6+) in March. 5) Dallas – Not only does Salem Media Group contemporary Christian KLTY boast the largest (6+) May 2017 – June 2017 increase of any station in the 12 PPM-markets whose data was released Wednesday (3.2 – 4.3, +1.1, 6+), “94.9 – Your Life … Inspired” propels from #11 to #5 and has its strongest 6+-stat since 4.4 in “Holiday” 2015. Tied for the top spot in March, iHeartMedia CHR KHKS “106.1 Kiss-FM,” regains all but one-tenth of the seven-tenths it lost in May (5.9 – 5.2 – 5.8, +.6, 6+) and inches up from third to second. It will be especially interesting to see how “Kiss” does in the July sweep, since Elena Davies – on hiatus from the KHKS-originated, syndicated “Kidd Kraddick Show” – is one of the Season 19 houseguests on CBS-TV’s “Big Brother,” which premiered June 28. As noted above, the final day of the June sweep was June 21. Finishing first for the sixth successive time is Cumulus Media country outlet KPLX “The Wolf,” whose last six 6+-trends are 5.9 – 6.2 – 6.0 – 6.2 – 6.3 – 6.1. Off one-tenth to 3.3 (6+), Service Broadcasting urban contemporary KKDA-FM “K-104” (eighth to ninth) has its successive string of up or flat trends that netted a full-share gain snapped at seven (2.4 – 2.6 – 2.6 – 2.8 – 3.2 – 3.2 – 3.4 – 3.4, 6+). Stuck on 2.9 (6+) in January, February, March, and April, Cumulus Media’s KTCK gained four-tenths in May to 3.3 (6+), but “The Ticket” surrenders three-tenths in June to 3.0 (6+), moving from #10 to a four-way tie at #11. April’s +.8 by “The Ticket” halted a loss of over two full-shares in three straight downward moves (6.8 – 5.2 – 4.8 – 4.7, 6+). After four straight increases that netted nine-tenths (4.6 – 4.7 – 5.0 – 5.2 – 5.5, 6+), iHeartMedia classic rocker KZPS “Lone Star 92.5” dips by one-tenth to 5.4 (6+), segueing from second to third. Registering a 3.8 for the third time in the last four sweeps (3.8 – 3.6 – 3.8 – 3.8, 6+), co-owned hot AC KDMX “102.9 Now” slips from eighth to ninth. In addition to falling out of the top twenty (#19 to #22), Cumulus Media news/talk WBAP notches a decrease for the fifth time in a row and is a collective -1.6 since January (3.6 – 3.3 – 2.9 – 2.6 – 2.3 – 2.0, 6+). Likewise, Northwest Texas Public Broadcasting news/talk KERA is without an increase for the fourth consecutive time for a -.5 (2.6 – 2.3 – 2.3 – 2.2 – 2.1, 6+), yet actually improves from a tie at #20 to a three-way deadlock at #19. 6) Houston – In its third straight up or flat trend (3.7 – 3.8 – 3.8 – 4.6, 6+), Cumulus Media CHR KRBE “Houston’s #1 Hit Music Station” matches the 4.6 it recorded last August and marches into the top ten (#11 to #6). Following four straight gains that yielded a cumulative +1.3 (2.3 – 2.5 – 2.7 – 3.1 – 3.6, 6+), CBS Radio hot AC KHMX slumped by four-tenths in May, but “Houston’s Mix 96-5” regains all of it – plus two-tenths more – (3.2 – 3.8, +.6, 6+), advancing from #15 to #12. On top for the fifth consecutive sweep, Radio One-owned urban AC KMJQ “Majic 102.1 The People’s Station” returns nearly half of May’s +1.4 (6.9 – 8.3 – 7.7, -.6, 6+). It has been a rollercoaster ride for “Majic,” which was up a combined +1.0 in back-to-back monthlies (6.9 – 7.2 – 7.9, January-February-March, 6+) only to return all of it in April (6.9, 6+) and then notch May’s +1.4. It is a somewhat similar story for noncommercial contemporary Christian KSBJ. After progressing by seven-tenths in April, “God Listens” returned all but one-tenth in May (-.6, 6+) and duplicates that -.6 in June 5.6 – 5.0 – 4.4, fifth to eighth, 6+). KSBJ improved by +1.0 in January to 5.9, its highest 6+-share in more than four years (6.0, November 2012); was -.5 in both February and March (5.9 – 5.4 – 4.9, 6+); +.7 in April; -.6 in May; and now -.6 in June. This is the station’s lowest 6+-share since its 4.2 last September. Then, there is the case of Univision Radio regional Mexican KLTN, which moves from third to fifth. Following three straight negative trends that yielded a combined -1.5 (8.0 – 7.4 – 6.7 – 6.5, 6+), KLTN brought back 60% of that deficit in January (+.9), jumping from third to first. It was a very quick stay there though as KLTN surrendered -1.3 in February (7.4 – 6.1, 6+) and fell to third. In March, KLTN was -.5 to 5.6, its lowest 6+-showing since last April’s 5.4; was +.7 in April; -.2 in May; and now -1.1 in June (6.1 – 5.0, 6+). Five successive up or flat trends netted a +1.1 (1.6 – 1.7 – 1.9 – 1.9 – 2.7 – 2.7, 6+) for Liberman’s similarly-formatted KQQK but “El Norte 107.9” drops two-tenths to 2.5 (6+) and slides from #17 back to #18; May’s 2.7 was the finest 6+-showing for “El Norte” since last August (2.7, as well). 7) Atlanta – A collective +1.6 via six consecutive upticks (2.6 – 2.8 – 2.9 – 3.4 – 3.6 – 4.0 – 4.2, 6+), iHeartMedia’s country-formatted WUBL “94.9 The Bull” has its strongest 6+-performance since last July (4.6) and cracks the top ten (#11 to #7). Without a loss for the sixth time in a row as well, Cumulus Media’s WNNX “100.5 – Atlanta’s Rock Station” (steady at #15) is a combined +1.5 since the “Holiday” 2016 report (1.7 – 2.0 – 2.0 – 2.2 – 2.7 – 3.2 – 3.2, 6+). Conversely though, Cox Media Group-owned WSRV concludes at five its streak of consecutive gains that netted a +2.3 in that stretch (4.4 – 4.6 – 5.1 – 5.9 – 6.2 – 6.7, 6+) as “Classic Hits 97.1 The River” is off by one-tenth to 6.6 (6+), but remains at #2. With its third consecutive positive trend that has produced a gain of seven-tenths (3.0 – 3.1 – 3.3 – 3.7, 6+), Entercom hot AC WSTR “Star 94.1 – Today’s Best Mix” climbs from #14 to #13. Down or flat the past four sweeps for a combined loss of more than two full-shares (10.7 – 9.9 – 9.5 – 9.5 – 8.6, 6+), Cox Media Group news/talk WSB-AM bumps up by two-tenths to 8.8 (6+) and is #1 for the 18th straight ratings period. Prior to March, its most recent fluctuations were -2.3 (“Holiday” 2016); +2.8 (January); and -.8 (February). January 2017’s 10.7 represents the station’s best-ever (6+) performance, eclipsing the 10.2 in December 2016. Co-owned adult contemporary WSB-FM “B-98.5,” however, is without an increase for the fourth successive sweep for a -1.4 (5.3 – 4.6 – 4.6 – 4.2 – 3.9, 6+) and departs the top ten (#10 to #11). After regressing by one-half share in May (5.0 – 4.5, 6+), Salem Media Group contemporary Christian WFSH “The Fish” falters by another six-tenths to 3.9 (6+) and exits the top ten as well (#6 to #11, where it is tied with WSB-FM). 8) Philadelphia – An improvement of six-tenths to 6.9 (6+) lifts Jerry Lee Radio adult contemporary WBEB “Today’s 101 More FM” from fourth to second, thus curtailing at five a successive string of down or flat trends that led to a loss of well over 11 full-shares from “Holiday” 2016 (17.9 – 7.9 – 7.9 – 7.0 – 6.6 – 6.3, 6+). Three-tenths ahead of WBEB is CBS Radio classic hits-oldies WOGL (6.8 – 7.2, +.4, 6+), which returns to #1 after transitioning from first to third in May. It was thus a May-only stay at #1 for iHeartMedia-owned urban AC WDAS-FM “Philly’s Best R&B and Throwbacks” (7.0 – 6.8, -.2, 6+), which moves from first to third – one-tenth behind “Today’s 101 More FM.” A collective +1.6 via three straight increases (3.9 – 4.1 – 4.8 – 5.5, 6+), CBS Radio sports outlet/Philadelphia Phillies’ flagship WIP (sixth to seventh) forfeits exactly one-half of that gain (4.7, -.8, 6+). When WIP improved by two-tenths in March, it ended at five a consecutive string of downward or flat trends that yielded a cumulative -1.1 (5.0 – 4.9 – 4.3 – 4.0 – 4.0 – 3.9, 6+). Its format rival – Beasley Media Group’s WPEN-FM “97.5 The Fanatic” – surrenders four-tenths (2.0 – 1.6, 6+) to dip from #19 to #21. Duplicating May’s -.5, iHeartMedia-owned WRFF “Radio 104.5 – Philadelphia’s Alternative Rock” drops out of the top ten (#10 to #12); it was +.6 in April with 4.7 its strongest 6+-showing since last October’s 4.9. After putting together three successive positive trends netting one full share in that stretch (5.9 – 6.2 – 6.4 – 6.9, 6+), Beasley Media Group’s WMGK “Classic Rock 102.9 MGK” falters by three-tenths to 6.6 (6+), slipping from second to fourth. Even though ever-consistent WUSL “Power 99” (4.1 – 4.0 – 4.0 – 4.0 – 4.1 – 4.2 – 4.1 – 4.3 – 4.3 – 4.4, 6+) is up one-tenth, the iHeartMedia urban contemporary outlet backslides from eighth to ninth. 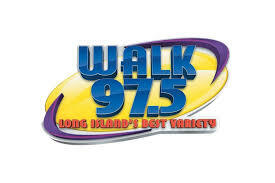 9) Long Island – Over and above being only one of three stations from this particular group of 12 PPM-markets to improve by at least one-share (6+) between May 2017 and June 2017 WALK-FM “Real Variety 97.5” (5.3 – 6.3, +1.0, 6+), zooms from third to first. A full-share loss in March (5.2 – 4.2, 6+) resulted in “Real Variety 97.5” tumbling from fourth to seventh, but the Connoisseur Media hot AC gained nine-tenths in April to rocket from seventh to first. Two stations are displaced at the top, including Cox Media Group-owned CHR WBLI which shifts to #2. Despite the downward move, “Long Island’s #1 For All the Hits” (up four-tenths) extends to six its consecutive string of up or flat trends (4.0 – 4.5 – 4.5 – 4.8 – 5.0 – 5.4 – 5.8, 6+) and is +1.8 since the “Holiday” 2016 report. Conversely, May’s other co-leader, iHeartMedia New York City’s similarly-programmed WHTZ “Z-100,” regresses by four-tenths (5.4 – 5.0, 6+) and falls to fourth. Having registered 11 successive sweeps at #1 in the Long Island report, “Z-100” spiraled by -1.5 in “Holiday” 2016 (6.6 – 5.1, 6+), sliding to third. It then gained eight-tenths in January 2017 to reappear at #1 and repeated at the top in February and March. Posting spikes of one-half share each are CBS Radio classic hits-oldies WCBS-FM (5.1, fifth to third, 6+), ending three straight dips resulting in a -.7 (5.3 – 4.9 – 4.7 – 4.6, 6+), and public WNYC-FM (1.3 – 1.8, #22, 6+). 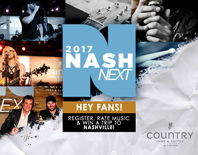 In four consecutive sweeps without an increase (2.5 – 2.4 – 2.1 – 2.1 – 1.6, 6+) Cumulus Media’s WNSH “94.7 Nash FM” is a combined -.9 and falls off the top twenty (#20 to #23). Flat at 2.3, yet improving from #18 to #15, Emmis rhythmic CHR WQHT “Hot 97” is in 2.0 – 2.9 range (6+) for the 31st straight sweep. 10) Riverside – More than doubling its 6+-share since February (.7 – .8 – .9 – 1.0 – 1.5, 6+) San Bernardino Community College news/talk KVCR jumps from #13 to #11. Each of the top three stations drops by two-tenths, including Entravision Spanish adult hits KLYY, which is #1 for the 20th consecutive ratings period, although “Jose” registers its fifth consecutive decrease for a -1.5 (9.4 – 9.2 – 8.6 – 8.3 – 8.1 – 7.9, 6+). After five consecutive sweeps without a decrease which produced a +2.2 (7.2 – 7.5 – 7.5 – 8.3 – 8.7 – 9.4, 6+), “Jose” lost two-tenths in February. In the runner-up slot for the sixth successive ratings period, KOLA was a combined +1.0 in April and May (5.2 – 5.6 – 6.2, 6+), but the Anaheim Broadcasting classic hits-oldies outlet dips to 6.0 (6+). The loss of four-tenths in March ended at five KOLA’s string of consecutive fluctuations by one-half share (7.1 – 6.6 – 6.1 – 5.6 – 6.1 – 5.6, 6+) for a collective -1.5; KOLA was at #2 six straight times before dropping to third in “Holiday” 2016. Prior to November, it was up or flat the previous six times for a net gain of +2.2 (4.9 – 4.9 – 5.6 – 6.5 – 6.8 – 6.9 – 7.1, 6+). Having posted five straight up or flat trends netting one full-share (3.7 – 4.4 – 4.5 – 4.5 – 4.6 – 4.7, 6+), CBS Radio’s KFRG “New Country K-Frog” forfeits 70% of that increase (4.0, -.7, 6+), as it shifts from third to fifth. The four most recent trends for iHeartMedia rhythmic CHR KGGI (fourth to third) are 4.6 – 4.4 – 4.6 – 4.4 (6+), while Good News Radio contemporary Christian KSGN (89.7 Family Friendly” (tenth to ninth) is trending 1.6 – 1.6 – 1.8 – 1.8 – 1.8 – 1.8 (6+). Following three consecutive up or flat trends that yielded a +.7 (3.9 – 4.0 – 4.6 – 4.6, 6+), Univision Radio Spanish contemporary KLVE “107.5 K-Love” sputters by one-half share to 4.1 (6+), but remains in fourth-place. 11) San Jose – Rolling out an increase of one full-share (5.2 – 6.2, 6+), Univision Radio Spanish adult hits KBRG “100.3 Mas Variedad” proceeds from third-place to the runner-up slot. In 4.0 – 4.3 range (6+) the past four sweeps, Empire Broadcasting’s KRTY “San Jose Hot Country” notches a +.9 (4.2 – 5.1, 6+) to climb from seventh to fifth. It is the strongest 6+-performance for KRTY since last September’s 5.3. While unchanged at #4, a +.8 propels Alpha Media hot AC KEZR “Mix 106 – Today’s Best Music” to 5.6 (6+). Not only does Cumulus Media triple A KFOG register an increase of seven-tenths (2.1 – 2.8, 6+), “Music Matters” cracks the top twenty at #14. 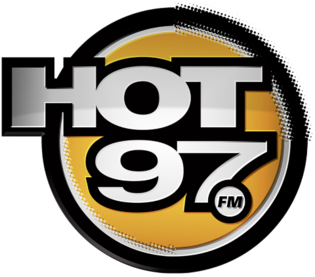 The stream of CBS Radio hot AC KLLC “Alice @ 97.3” gains one-half share (.4 – .9, #30, 6+). Adding one-tenth to May’s three-tenths, co-owned all-news operation KCBS-AM repeats at #1. The +.3 in May ended a string of three consecutive KCBS-AM down or flat trends that produced a -.6 (6.7 – 6.7 – 6.3 – 6.1 (6+). Trending 4.4 – 4.1 – 4.4 – 4.2 – 4.5 (6+) since January, Alpha Media classic hits-oldies KBAY “94.5 Bay FM – The Bay’s Greatest Hits” stumbles by nine-tenths to 3.6 (6+) and slips from fifth to ninth. Locked on 4.2 (6+) in April and May, following a March – April +1.1, Cumulus Media’s KNBR drifts by eight-tenths to 3.4, as “The Sports Leader” exits the top ten (#7 to #11). Off by one-half share (2.3 – 1.8, 6+), Spanish Broadcasting System regional Mexican KRZZ “93.3 La Raza” spirals from #19 to #23. Unchanged at #18, Univision Radio rhythmic CHR KVVF “San Jose’s Hottest Music” regresses by four-tenths to 2.5, halting three straight gains that netted a +1.0 since February (1.9 – 2.2 – 2.4 – 2.9, 6+). Faltering for the fourth straight sweep for a cumulative -1.5 (7.6 – 7.5 – 7.2 – 6.3 – 6.1, 6+), Northern California Public Broadcasting’s KQED slides from second to third. Unlisted in San Jose since posting a 5.1 (6+) in the “Holiday” 2015 report, KQED returned in January 2017 by recording a 6.9 (6+) to finish at #1 and had been on top through April. 12) Middlesex – Without a decrease for the sixth straight sweep for a net gain of +2.2 (2.4 – 2.7 – 3.6 – 3.9 – 3.9 – 4.2 – 4.6, 6+), Emmis rhythmic CHR WQHT “Hot 97” inches up from sixth to fifth. Its format rival – iHeartMedia’s WKTU (#16 – #17) – drops two-tenths to 2.8 (6+), thus curtailing at six its consecutive string of up or flat trends that accounted for a +.8 (2.2 – 2.2 – 2.7 – 2.8 – 2.8 – 2.8 – 3.0, 6+). In its third increase in a row (2.1 – 2.3 – 2.5 – 3.2, 6+), WPLJ is a collective +1.1 and the Cumulus Media hot AC catapults into the top twenty at #14. Down or flat the past nine sweeps and -1.6 since September (4.5 – 4.3 – 4.0 – 3.9 – 3.8 – 3.7 – 3.5 – 3.5 – 3.3 – 2.9, 6+), CBS Radio CHR WBMP “Amp” bounces back with a +.6 to 3.5 (6+) to zoom from #17 to #11. Off in each of the last three Middlesex-Somerset-Union sweeps for a cumulative -2.2 since March (5.4 – 4.5 – 4.3 – 3.2, 6+), iHeartMedia’s similarly-formatted WHTZ “Z-100” answers with a +.5 to 3.7, returning to the top ten (#14 to #9, 6+). Following a combined loss of -1.4 in back-to-back sweeps (7.9 – 7.4 – 6.5, 6+), Townsquare Media news/talk WKXW repeats May’s +.3 (6.5 – 6.8 – 7.1, 6+) and is #1 for the sixth consecutive ratings period. As a result of a “Holiday” 2016 – January 2017 increase of one-full-share (6.8 – 7.8, 6+), “New Jersey 101.5” returned to #1 following one month in the runner-up slot. Prior to “Holiday” 2016, when it was -.7, (6+), WKXW spent 12 consecutive ratings periods on top. Owing to three successive gains (3.1 – 3.3 – 3.7 – 4.0, 6+), WPAT netted nine-tenths, but the Spanish Broadcasting System Spanish contemporary outlet has the dubious distinction of registering the highest (6+) May 2017 – June 2017 decline of any station in the 12 PPM-markets whose data was released on Wednesday (4.0 – 2.5, -1.5, 6+). Moreover, “Amor 93.1” sinks from #8 to #20. A combined +.8 since March (2.9 – 3.4 – 3.7, 6+), iHeartMedia urban contemporary WWPR returns all but one-tenth of that increase in June (3.7 – 3.0, -.7, 6+) as “Power 105.1 – New York’s Hip-Hop and R&B” freefalls from #10 to #16. WSCR, Chicago Unveils New Lineup; Windy City Native Parkins Comes Back from KCSP, Kansas City. The recent retirement of original “Score” personality Terry Boers led industry watchers to expect at least an addition to the staff and that’s what program director Mitch Rosen is announcing. Chicago native and recent six- year KCSP, Kansas City sports talk host Danny Parkins is heading home to partner with Matt Spiegel to co-host the 9:00 am to 1:00 pm “Spiegel and Parkins” show. Current midday personality Jason Goff moves to the afternoon drive slot (1:00 pm to 6:00 pm) to partner with Dan Bernstein for the “Bernstein and Goff” show. The changes take effect next Tuesday (1/17). Rosen states, “The retirement of beloved ‘Score original’ Terry Boers after 25 years, coupled with the exciting achievements of the station over the last year, led us straight to Jason as the perfect match with Dan in afternoons. As a hometown native, Danny brings passion to middays, and I couldn’t be more thrilled to hear what he and Matt create together for our loyal listeners.” Goff first started with “The Score” in 2000 as a producer. 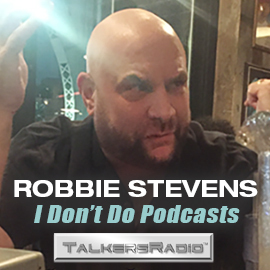 He’s worked on air at CBS RADIO’s WZGC, Atlanta, as well as SiriusXM. Suit Against Glenn Beck and Others By ‘Clock Boy’ Family Dismissed. The family of Ahmed Mohamed sued Glenn Beck, his company The Blaze, Center for Security Policy’s Jim Hanson, talk host Ben Shapiro and others for defamation in the aftermath of the then-13-year-old’s 2015 arrest. The boy had made a homemade electronic device in a small briefcase using parts from a clock and batteries that he brought to school to show his teacher. The teacher mistook it for a bomb and called authorities. He was initially charged with making a hoax bomb but charges were soon dropped. But the media attention to the case made it a viral story. Beck and other defendants opined and speculated about the case, including whether the incident was planned by Mohamed’s father in order to draw sympathy. Some defendants questioned that he’d built a clock at all and suggested what he made was something that looked like a small suitcase bomb. Regardless, under a Texas anti-SLAPP suit measure, a Texas judge dismissed the complaints against all except Shapiro, whose motion-to-dismiss hearing will take place on January 30. NBC News is reporting that the family intends to appeal the dismissals. 2017 New York Festivals International Radio Program Awards Open for Entries; TALKERS Publisher Michael Harrison Named to Advisory Committee. 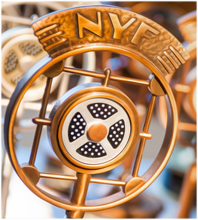 The 2017 New York Festivals International Radio Program Awards is now open for entries. 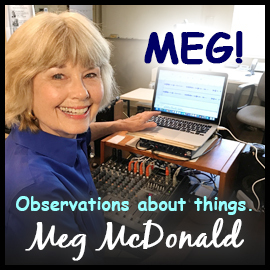 The awards program – now in its 35th year – honors “the World’s Best Radio Programs,” receiving entries from radio stations, networks, and independent producers from more than 30 countries around the world. NYF Radio Program Awards executive director Rose Anderson says, “From hard-hitting investigative journalism to breath-taking theater of the mind, radio today engages listeners as never before across a growing spectrum of genres and platforms. Storytelling, the power of the individual voice, and the immediacy of the medium – all testify to the universal language of radio. And so, every year we augment our categories not only to be in sync with the industry but in order to stay ahead of the curve as visionaries around the world raise the bar of what is possible.” Additional categories added this year to address the breadth of radio programming emerging in today’s marketplace include: Best Live News Special and Heroes Documentary. NYF also added two new podcast categories for Music and Personal Lives. This year New York Festivals Radio Awards adds two new members to the Advisory Board: TALKERS magazine editor and publisher Michael Harrison and SiriusXM VP/talk production & operations Todd Stack. 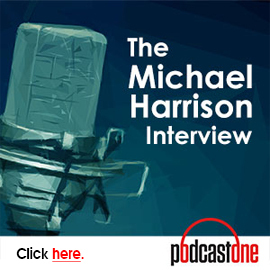 NYF calls Harrison “one of America’s leading authorities on radio, communications, and public opinion as it is expressed in the media.” The Advisory Board is comprised of prominent international executives recognized as thought-leaders in the radio broadcasting industry. These individuals function as a sounding board for the competition’s executive director, offering suggestions for category updates and sharing ideas, trends, and other concerns that impact radio broadcasting. Their guidance insures that the competition is relevant and in step with the ever-changing radio industry. For information about submitting entries, click here. Trump Press Conference, Russian Hacking Allegations/McCain Releases ‘Trump Dossier,’ Trump Business Separation Plan, Trump Cabinet Nominations Hearings, Obama Farewell Address, ObamaCare Repeal Efforts, and NFL Playoffs Among Top News/Talk Stories Yesterday (1/11). President-Elect Donald Trump’s first press conference since winning the White House; the allegations Russia was behind the hacking of the DNC emails and John McCain’s delivering the “Trump dossier” purportedly documenting bizarre sexual behavior by Trump while staying in Moscow to BuzzFeed; Donald Trump’s plan to put his business into a trust run by his sons in order to avoid conflicts of interest; the hearings of Trump cabinet nominees Rex Tillerson and Jeff Sessions; President Barack Obama’s Tuesday evening “Farewell Address”; the efforts by the GOP to repeal and replace the Affordable Care Act; and the NFL playoffs were some of the most-talked-about stories on news/talk radio yesterday, according to ongoing research from TALKERS magazine. Michael Medved’s New Book Cracks NYT Bestseller Top 10 in Religion Category. Nationally syndicated talk show host Michael Medved’s latest book, The American Miracle: Divine Providence in the Rise of the Republic (Crown Forum 2016), has cracked the top 10 in The New York Times Bestseller list in the religion, spirituality and faith category. The Salem Radio Network talk host’s book looks at important moments in the history of the United States and suggests that “at moments of crisis, when the odds against success seem overwhelming and disaster looks imminent, fate intervenes to provide deliverance and progress.” He writes that many notable leaders over the years have believed that the country’s good fortune came straight from the hand of God. Read more about the book here. Talk Media Network Names Willis Damalt to Senior Affiliate Relations Post. Affiliate relations pro Willis Damalt joins talk radio programming syndicator Talk Media Network as senior affiliate relations representative. During his career, Damalt has served with the WOR Network as senior director of affiliate relations, at USRN, and SFX. Talk Media Network CEO Josh Leng says, “We’ve been on the lookout for the right person to join our fun, but focused team, and having Willis Damalt aboard at Talk Media Network is a great way to start the New Year. In the past 30 days, we’ve added 30 new show clearances, with Willis already contributing to our growth and providing great affiliate service.” Damalt will serve stations primarily in the Northeast, Mid-Atlantic, Upper-Midwest and Southwest and affiliate relations director Ken Silverstein covers the rest of the country. More Music Radio News and Career Moves. In San Diego, program director and afternoon personality Mike Halloran exits Local Media San Diego’s alternative XETRA “91X.” His bio has been scrubbed from the station website…..At Entercom’s hip hop KQKS, Denver, 17-year station personality Kendall B. exits the “KS1075” morning show…..John St. John is named operations manager for Midwest Communications’ Duluth, Minnesota station group that includes: country KTCO, classic country KDKE “102.5 Duke FM,” classic rock KQDS, adult contemporary KDAL-FM, news/talk KDAL-AM, news/talk WDSM-AM/W251CD and sports talk WDUL…..Beasley Media Group’s Detroit classic rocker WCSX is hosting the “Cold as Ice,” ice fishing tournament at Lake St. Clair Metropark on Saturday, January 28. Fishermen (and fisherwomen!) participating have the chance to win prizes for the top 10 catches. First place prize of $1,000 goes to the fisher who catches the heaviest perch! The fisher who catches the largest pike will win $500 cash and the one who catches the heaviest pan fish will win $250. Memorial Set for Legendary KLOS, Los Angeles Personality Bob Coburn. A memorial service for Bob Coburn is set for Saturday, January 21 at Malibu Presbyterian Church in Malibu, California at 2:00 pm. The service will be followed by a reception at Ollo Restaurant in Malibu. If attending, you are asked to RSVP either via Rockline@gmail.com or by texting or calling 818-636-6160. Coburn died in December at age 68 after a battle with lung cancer. His weekly, syndicated “Rockline” show aired from 1981 through 2014. Former Dial Global/WW1 Execs Launch Program Sales and Distribution Firm. Former Dial Global and Westwood One executives Spencer Brown and David Landau announce they are partnering with Michael Rolnick to form the firm DGital Media. They describe it as “an audio engagement company that partners with media brands to create, distribute, and monetize spoken-word audio products.” The company’s first venture will be the creation of the Re/code Radio network in partnership with Revere Digital LLC. Re/code is a tech news web destination founded by journalists Walt Mossberg and Kara Swisher. The first program to be rolled out will be “Re/code Decode” with host Kara Swisher, expected to go live in June. Revere Digital COO Lorenzano Kennett comments, “With the proliferation of mobile devices and the popularity of podcasts, we want to make sure our content is available to our audiences wherever they are – in the car, in the office, etc. By partnering with DGital Media, Re/code will be able to leverage our authoritative content and brand with outstanding audio programming, distribution and monetization.” DGital Media co-founder David Landau adds, “Partnering with Re/code as a brand accomplishes exactly what we set out to do – which is to amplify media brands through audio. The Re/code Radio network will bring the same excellence in reporting and analysis to readers through the spoken word.” Also joining the company as chief content officer is Chris Corcoran, former EVP for content at Dial Global/Westwood One, and as executive vice president for sales and strategy, Grace Carrick, formerly vice president of sales at Dial Global/Westwood One. 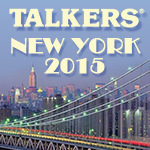 Talkers New York 2015 to Mark 25th Anniversary of TALKERS Magazine. 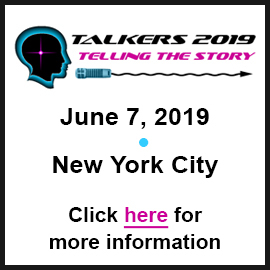 The forthcoming 18th annual installment of the talk media industry’s longest-running and most important national convention – Talkers New York 2015 – will also serve as the publication’s 25th “birthday party.” TALKERS was launched by publisher Michael Harrison in June of 1990 with the first issue of TALKERS: The Information-Radio Newspaper hitting the streets on July 23rd of that year. TALKERS VP/executive editor Kevin Casey states, “This is an important milestone, not only for us, but for the talk radio and media industries as well. That little trade publication provocatively named ‘Talkers’– that dared to refer to the relative handful of spoken-word stations that existed at the time as an ‘industry’ — has chronicled, championed and inspired one of the most colorful and historically significant chapters of American broadcasting ever gathered and archived in one continuous collection. This year’s conference will serve as a milestone honoring that achievement and rich body of work.” Casey adds, “Not only will Talkers New York 2015 have features that make note of this history but we will be publishing a number of retrospectives looking back at the past quarter-century in the days and weeks surrounding the conference and leading up to the official anniversary date in July.” Talkers New York 2015 is sold out but a few choice sponsorship opportunities remain available. For information, please call 413-565-5413. To see the latest updated agenda, please click here. Alpha Media to Pay $38,250,000 for Morris and JMJ Stations. From a filing with the FCC, we learn the price for the 36 stations that Morris Communications and JMJ operate in Topeka and Salina, Kansas; Amarillo, Texas; Palm Springs and Victor Valley, California; Anchorage and Wasilla, Alaska; Grays Harbor-Hoquiam, Washington and Wenatchee-Columbia River, Washington: $38,250,000. This is not an all-cash deal. Morris will receive $20 million worth of Alpha Holdings private stock (8,196,722 units in the aggregate), $6,585 worth of Alpha Holdings II private stock, and $18,250,000 in cash. Odds & Sods. Joining the lineup of weekend talk shows at Talk Media Network is the “Into Tomorrow with Dave Graveline” program. In welcoming the almost-20-year-old program to the company’s roster, Talk Media Network CEO Josh Leng says, “The ‘Into Tomorrow’ team travels the globe to deliver the most comprehensive technology discussion available on radio, each and every week. Talk Media Network is proud to offer radio stations this valuable program via satellite, for easy automation and scheduling.”…..Journalist and talk show host Michele McPhee – formerly with Entercom’s WRKO, Boston – is the new afternoon drive personality at WMEX, Boston, the daypart held briefly by Howie Carr before WRKO again became his syndicated program’s Boston affiliate. 2016 Presidential Prospects, ‘Is FOX News Bad for GOP?’ Flap, Hillary’s Role in Benghazi, Clintons Finances Scrutiny, ISIS Successes in Iraq and Syria, Amnesty Order Loses Round in Court, Obama Accuses Russia of Aggression, FIFA Scandal, Deadly Texas and OK Floods, and NBA/NHL Playoffs Among Top News/Talk Stories Yesterday (5/26). The activities of the potential candidates for president in 2016; reaction to historian Bruce Bartlett’s contention that FOX News is “self-brainwashing” conservative voters; more debate over Hillary Clinton’s role in the deadly Benghazi attack; ongoing scrutiny of the Clintons’ financial dealings and income reporting; the success of ISIS in Iraq and Syria and questions about America’s Iraq policy; President Obama’s amnesty order loses round at the Appeals Court level; Obama accuses Russia of military aggression; a report of widespread corruption at FIFA – soccer’s governing body; the deadly flooding in Texas and Oklahoma; and the NBA and NHL playoff action were some of the most-talked-about stories on news/talk radio yesterday, according to ongoing research from TALKERS. Premiere Reverses Course; Keeps Randi Rhodes on Syndication Menu. There are no reports indicating just what happened between Randi Rhodes and syndicator Premiere Networks but the latter is confirming the widely reported news that Rhodes will continue to be syndicated by Premiere, at least through 2014. Premiere SVP of affiliate relations Peter Tripi emailed affiliates, “In a happy turn of events, we are pleased to announce that Premiere Networks will continue to produce and distribute the Randi Rhodes show. In an industry of constant change, it’s a pleasure to provide good news about a talk talent we think so highly of. We apologize for any inconvenience the previous announcement caused, but look forward to a very successful 2014 with the Randi Rhodes show.” Several weeks ago, Rhodes began telling her audience she was foreseeing the end of her program and later Premiere notified affiliates the relationship would be ending. KABC and KLOS Could Fetch Roughly $90 Million. Before you start feverishly looking for loose change behind sofa cushions and envision putting together a consortium, that is the estimated price for (just) the real estate of the Cumulus-owned talk and rock combo. For decades, KABC and KLOS have operated from a 45,000-square-foot broadcast facility that sits on a 10-acre Los Angeles site at La Cienega and Jefferson Boulevard. It is close to a stop on the Expo Line rail route connecting downtown LA and Culver City. In an article in yesterday’s (11/14) Los Angeles Times, Roger Vincent notes that, “The area is considered ripe for mixed-use development that might include apartments, offices and stores. Real estate experts familiar with transit-oriented development say the Baldwin Hills site could command $200 a square foot, or more than $90 million,” although Cumulus reportedly has not officially set a price for the KABC-KLOS property. The LA Times piece quotes an unnamed Cumulus spokesperson who indicates company officials feel the Los Angeles property is a “greatly underutilized asset.” Cumulus has decided to sell it “to free up cash to redeploy in other areas of the business.” One option under consideration would be to have KABC and KLOS remain as tenants at the location following the sale. Nielsen Trims Payroll by as Many as 500 Positions. The statement from Nielsen is vague company-speak – “As part of the integration of Nielsen Audio, Nielsen is implementing changes across the company to enhance growth and to align our resources to meet and exceed client needs. These changes will improve productivity and innovation for the benefit of our organization, clients and shareholders.” However, unsubstantiated reports swirling through the industry are that as many as 500 former Arbitron staffers are being let go as Nielsen brings the radio ratings division fully into the parent company. The move is not surprising – or shouldn’t be – to anyone who’s been in this business for a while. Nielsen reported to shareholders that it would be able to realize $20 million in “synergies” and that money has to come from somewhere. In late September, when TALKERS wrote that staffers at Arbitron are wondering how many jobs will be cut as a result of the acquisition, Nielsen was quick to issue a statement saying the company had, “no plans to reduce headcount at this time,” which we reported on October 2. TALKERS sees the dismantling of the Arbitron brand and all that it stood for in this clandestine manner as a red flag that should not go by without at least comment. Those who recall the sale of the iconic trade publication Radio & Records to Nielsen in 2006 will remember the company making similar statements about its intentions to use its formidable resources to grow the magazine and increase its services to the radio industry. However, in 2009, Nielsen shut the publication down. 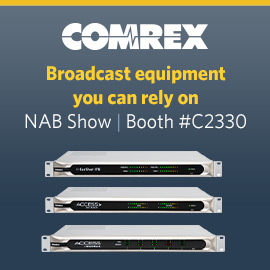 In a recent speech at the NAB Radio Show in Orlando, TALKERS and RadioInfo publisher Michael Harrison stated that for radio to thrive, let alone survive, in his new digital era — it must celebrate and protect its “radio-ness,” and avoid being assimilated into the multi-media soup of the 21st century at the expense of its unique industry and cultural identity. We hope that the powers-that-be at Nielsen show more respect for the specialness of radio in the days going forward and that they will be held accountable for significant discrepancies between their words and actions. Glenn Ordway Lands Weekend Gig at SiriusXM’s Mad Dog Sports Radio. Longtime WEEI, Boston sports talk personality Glenn Ordway will begin hosting “The Big Weekend Show with Glenn Ordway” on SiriusXM’s Mad Dog Sports Radio channel this weekend. Ordway’s show will air Saturdays and Sundays from 8:00 am to 11:00 am. Ordway – who spent the early part of his radio career as a Boston Celtics commentator – was instrumental in the building of Entercom’s WEEI, Boston where he created “The Big Show” afternoon drive program. His work in sports talk radio in Boston goes back to his days at talker WRKO where he hosted “Sportscall,” beginning in 1981. He worked at WEEI from 1987 until leaving the station in the spring of this year. WXOS, St. Louis Renews with Chris Duncan; Announces New Program Schedule. Hubbard Radio’s WXOS, St. Louis “101 ESPN” announces it has signed a contract renewal with sports talk host – and former St. Louis Cardinals star – Chris Duncan. The term of the contract was not announced. Program director Chris “Hoss” Neupert states, “We are excited to have Chris continue with ‘101ESPN,’ he is a tremendously talented guy and a hard worker who prepares in great depth every day to entertain and inform the ‘101ESPN’ audience.” At the same time, the station announces its new post-morning drive lineup effective 11/25: Kevin Wheeler, 9:00 am to 12:00 noon; “The Turn” with Chris Duncan and Anthony Stalter, 12:00 noon to 2:00 pm; and “The Fast Lane” with Randy Karraker and D’Marco Farr (with Brad Thompson joining the show on Monday, January 6th, 2013) from 2:00 pm to 6:00 pm. Talk Media Network Brings Weekly Satirical News Program into the Fold. 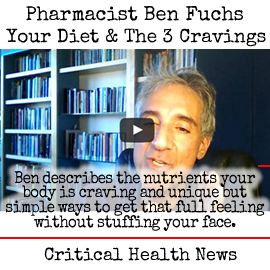 “Now It’s the News with Derrick Blair” joins the Josh Leng-led Talk Media Network. The company says in a statement, “While many shows embrace talking points and are overly predictable, Derrick Blair brings a refreshing approach to ‘Now It’s The News,’ in the genre of ‘enlightened entertainment’ that includes ‘The Colbert Report’ found on Comedy Central.” Blair adds, “In the truest spirit of bipartisanship, ‘Now It’s The News’ will continue to mock the left, the right, the center, and all points in between.” Josh Leng comments on the one-hour, weekly program, “’Now It’s The News with Derrick Blair’ appeals to core radio listeners who love news and politics, but also to a much wider audience who simply enjoy a good laugh and quality entertainment. 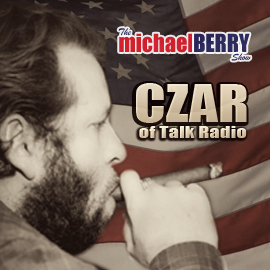 Derrick’s show is 100% original, and serves as a perfect bridge between political and non-political programming, giving listeners a humorous transition. It’s also a great way to laugh off some of the stress that can build up during the week.” The program has been in syndication since 2010. Cumulus-Townsquare Deal Closes. Yesterday, Cumulus Media announced that it had completed the sale to Townsquare Media, LLC of 53 radio stations in 12 small and mid-sized markets for approximately $238 million in cash, and the swap with Townsquare of 15 radio stations in two small and mid-sized markets in exchange for five radio stations in Fresno, California (together, the “Townsquare Transaction”). Cumulus reports in an 8-K filing that it intends to use the cash proceeds from the Townsquare Transaction to fund a portion of the purchase price payable to complete its previously announced acquisition of Dial Global, Inc., now known as WestwoodOne. This acquisition is expected to be completed in the fourth quarter of 2013. WPHT, Philadelphia Celebrates 57 Years of Sid Mark’s Broadcast Career. The Philadelphia broadcaster is best known these days for his nationally syndicated weekly program “The Sounds of Sinatra.” Home base – news/talk station WPHT, Philadelphia – is celebrating the career of Sid Mark tonight at a special, sold-out event at Galdo’s in Philadelphia to celebrate his 57th year hosting “The Sounds of Sinatra.” The evening will feature Bobby Rydell and the sounds of the 17-piece big band City Rhythm Orchestra paying tribute to Sid Mark. CBS Radio Philadelphia SVP and market manager Marc Rayfield says, “Sid is not only a Philadelphia treasure, but a national treasure as well. His legendary voice has insured that another legendary voice has remained quite legendary. We are honored to have him as a member of our team at WPHT.” Sid Mark launched “The Sounds of Sinatra” in Philadelphia 57 years ago after a caller suggested that Sid spin one hour of Frank Sinatra songs. That tradition developed into “Friday with Frank,” as well as “Sunday with Sinatra” which presently airs on 1210 WPHT on Sundays from 9:00 to 1:00 pm. “The Sounds of Sinatra,” now heard on more than 100 radio stations from coast to coast, is the only radio program of its kind to have been personally authorized by Frank Sinatra. 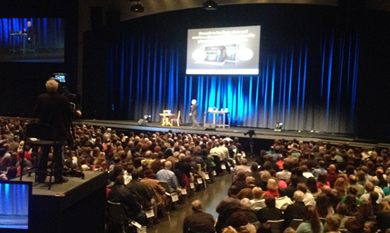 Dave Ramsey Fills the House in Greenville. Nationally syndicated talk superstar Dave Ramsey is pictured here on stage in Greenville, South Carolina last night presenting his new “Legacy Journey LIVE!” The program discusses how to win with money, strengthen marriages and lead your children with confidence. His daughter, Rachel Cruze, joined Ramsey on stage. Ramsey combined forces with local affiliate WORD, to promote the event. Entercom Upstate director of news and programming Bob McLain states, “As a heritage partner with Dave Ramsey it’s a pleasure to be able to welcome Dave and Rachel Cruze to the Upstate…The opportunity for ‘WORD 106.3’ to partner with Dave in this venture, as we do on the air, just helps to cement the personal relationship our listeners have with Dave and the station.” Also, on Wednesday, Ramsey hosted his “EntreLeadership 1 Day Event” in Birmingham, Alabama with speaker Chris Hogan addressing how to run a business using the same common sense principles that Ramsey practices in his own company of more than 350 employees. TALKERS Weekly Affiliate Roundup. Envision Radio Networks’ “America Weekend” featuring hosts Paul Harris, Turi Ryder and Rob Carson, is added to the program schedule at Blount Broadcasting Corporation’s talk WKVL and rock WNFZ in Knoxville, Tennessee…..Genesis Communications Networks-syndicated Dr. Daliah Wachs joins the program lineup at WZGM, Asheville, North Carolina. ObamaCare Rollout Criticism Tops Talkers TenTM. The ongoing criticism of the rollout of the Affordable Care Act was the most-talked-about story on news/talk radio for the fourth straight week. At #2 this week was the GOP strategy for the 2014 and 2016 elections tied with analysis of the November 5 elections. Following at #3 was President Obama’s declining poll numbers tied with the new Benghazi allegations and at #4 was the aftermath of Typhoon Haiyan. The Talkers TenTM is a weekly chart of the top stories and people discussed on news/talk radio. It is the result of ongoing research from TALKERS and is published every Friday at Talkers.com. View this week’s chart here.